These geysers (discovered by the Cassini spacecraft in 2005) are formed along cracks in the moons icy surface and shoot powerful jets of - amongst other stuff - water vapor and ice particles into space. Some of the plumes reach heights of several hundreds of kilometers, and while most of it falls back as “snow” on the surface, some particles are shot into space and become part of the famous Rings of the parent planet of Saturn. The geysers are one of many hints that there are large bodies of liquid water under the surface of the moon, making Enceladus a prime target for the search for extraterrestrial life in the Solar System. This shot follows the cabin of a space elevator descending on a cable towards the northern parts of the Terra Cimmeria highlands on Mars. A large settlement, hinted as glowing lights in the dark, can be seen far below on the ground. One of Mars’ two moons - Phobos - is seen above the cabin to the left of the cable in the beginning of the shot. A small side note: As far as I have understood it, the ideal place to attach a space elevator on Mars would not be where I have done it in this shot, but on the top of the volcano Pavonis Mons. With a peak reaching 14 kilometers above Mars’s mean surface level, and location almost exactly at the equator it would be the perfect spot - as it would cut a few kilometers from the length of the cable. However, the area around that mountain did not look as neat, so for purely artistic reasons I chose the Terra Cimmeria highlands instead. The name “Cape Verde” refer to the vantage point from where the picture was taken. The cliff on which the people are standing is called “Cape St. Mary”. As it turns out it seems I may have exaggerated the height of that cliff somewhat as I recently read it is about 15 meters tall. It’s tricky getting these things right when there is no point of reference! This shot shows a group of hikers on top of the eastern rim of “Gusey Crater”, looking at the fantastic and truly unearthly spectacle of a sunset on Mars. During the day, the Martian sky is a mixture of a grayish yellow and green (like in the previous shot). But when the sun sets, fine dust particles in the atmosphere gives it a rusty reddish shade, and around the sun - where we on Earth are used to see a fiery red - the Martian sky glows blue. This was the first shot I made for the film, inspired by Kim Stanley Robinssons novel “2312” in which he describes a large urban area built along the ridge of Iapetus. The shot is almost built entirely in CG using various maps and photos from the NASA JPL photojournal as reference. Saturn in the background is a photo from the Cassini spacecraft but I don’t know exactly when it was taken. These shots show one of the many asteroids in the Main Asteroid Belt between the orbits of Mars and Jupiter. A small fleet of spacecrafts are lined up and approaching a docking area seen as glowing lights in the “center” of the large rock. The dust surrounding the asteroid is the remains of an extensive excavation of its interior. This shot shows the inside of the asteroid from the previous scene. Just as I wrote about that scene, this is a highly speculative vision of an impressive piece of human engineering - a concept that science fiction author Kim Stanley Robinson calls a “terraruim” in his novel “2312”. It is also not unlike what Arthur C. Clarke described in his novel “Rendezvous with Rama”. This scene shows a group of people hiking across the icy plains of Jupiter’s moon Europa. Jupiter itself as well as another moon - Io - is seen beyond the horizon. The scene takes place on the night side of Europa so the landscape is lit entirely by reflected sunlight off Jupiter (and to a small extent off Io). The shot is designed to look as if it would have been filmed from a moving vehicle and with a very long lens so that the bulk of Jupiter fills the entire field of view, like a huge wall in the background. The scene is built mostly in CG, except for the people who are shot live action and composited into the environment, and the foreground cliffs in the first shot which are made from several photos of a place in Norway known as “The Pulpit Rock”. For building the landscape I used (amongst others) this satellite photo of Verona Rupes, taken by NASAs Voyager 2 during the flyby of Uranus in 1986. 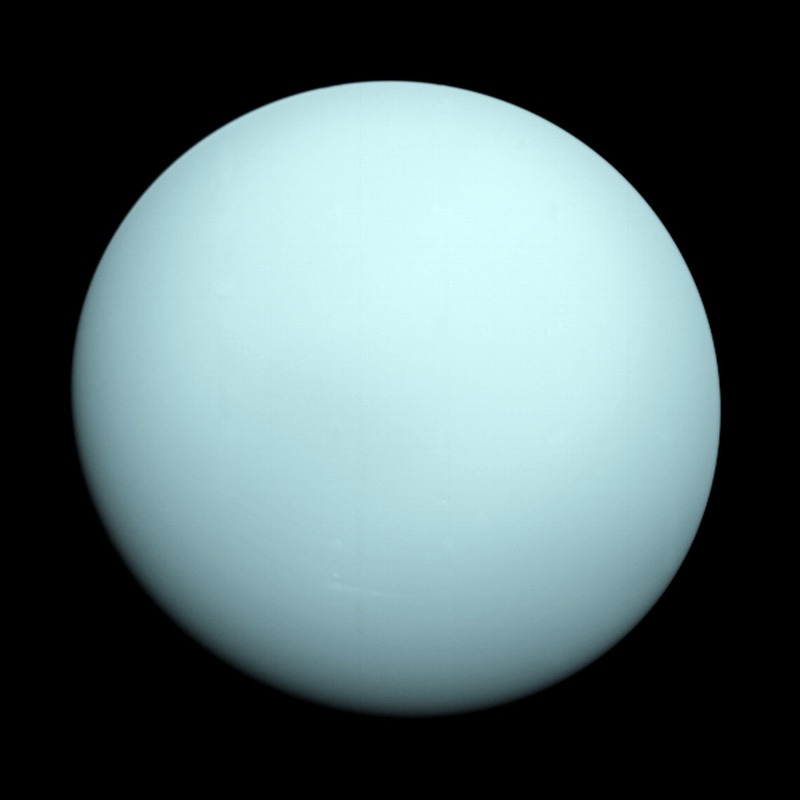 For the color and texture of Uranus I used this photo as reference. 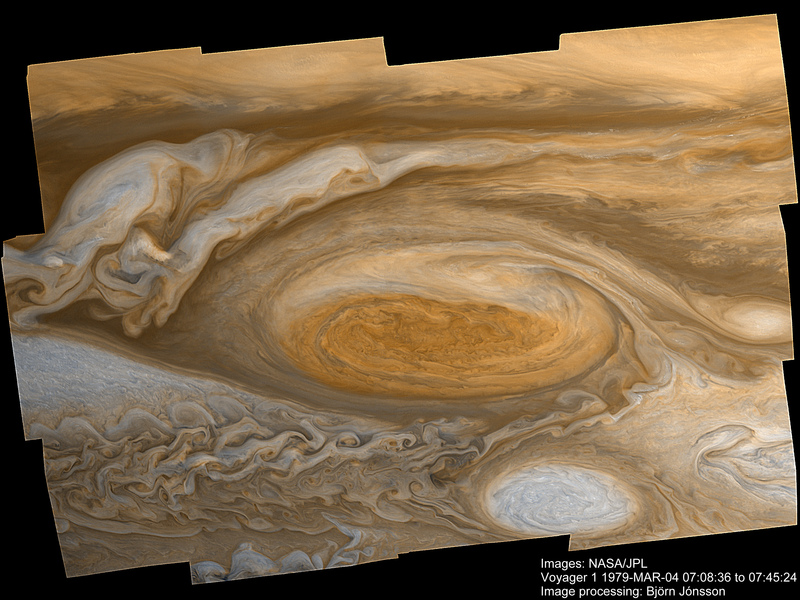 Also by Voyager 2, NASA. Saturn is a huge ball of gas with no surface to stand on (apart from a small rocky core that may hide in its very center), so any human visit there would have to be suspended in balloons or dirigibles, like seen here. The atmospheric pressure at the upper layers of clouds ranges between 0,5 and 2 times the pressure at sea level on Earth, so in theory you could “hang around” under the open sky there without the need of pressurized a space suit. You would, however, need to bring along oxygen to breathe and it would be very cold - temperatures at this altitude range between -170 and -110 C.
The path to this future started on December 5, 2014, when NASA successfully launched the Orion spacecraft. Click here to learn why this seemingly unimportant event is crucial for the future of humanity.